The Villa Servais means something in Halle. Not only because of its dominant position nearby the Halle city center, but above all because of the special history of the building. It was the place where the famous cellist Servais lived with his family since 1847 and received his international friends. During the second world war it provided accommodation to German and English soldiers and subsequently a dozen of families of gendarmes. 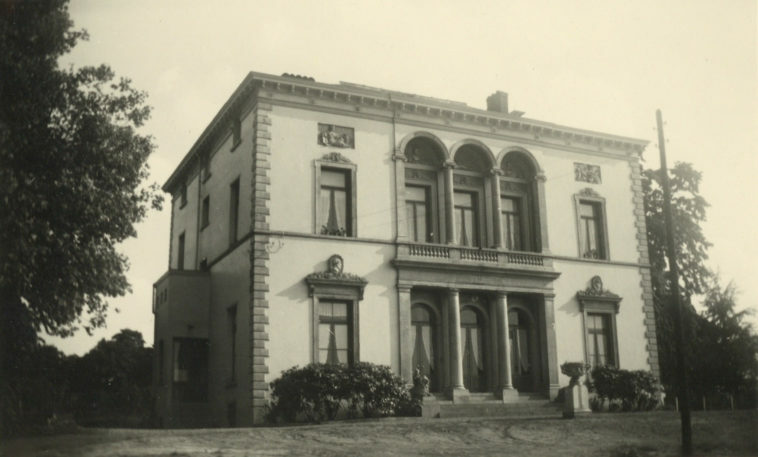 Later on hundreds of pupils from Halle went to school in the Villa. Director Jan Boon filmed 32 witnesses and incorporated it all in the documentary film ‘Life in Villa Servais, in cooperation with Hans Desmet. 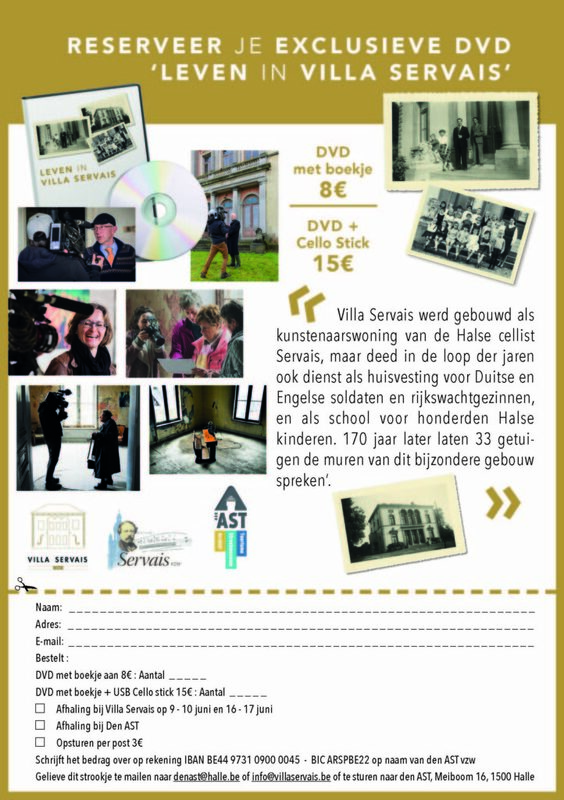 The dvd ‘Life in Villa Servais’ is for sale at the price of 8 euro, including an extensive booklet. You can order it at ‘den AST’ (www.denasthalle.be ) or via the Servais Society.